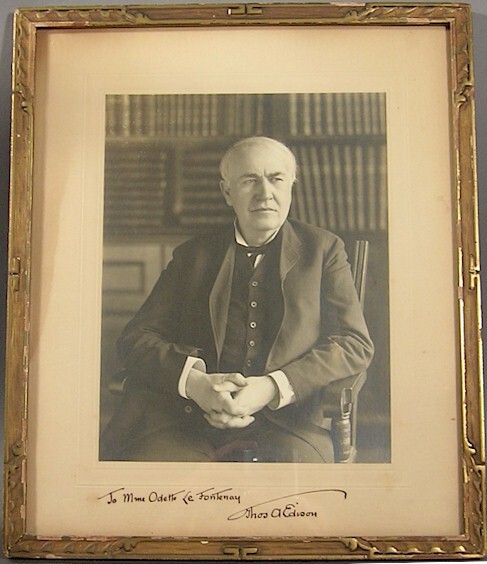 You could search for 20 years and NEVER find an equally Exquisite Original Thomas Edison photo SIGNED. And if the spectacular beauty of this piece isn't enough the value is even more enhanced due to WHO it Signed for. This Beautiful signed Photograph of Thomas A. Edison is to the Famous Opera singer OdetteLe Fontenay who made cylinders and diamond discs for Edison. She recorded for Edison around 1916, and the photo and frame are indeed from that era. The Edison signature is simply stunning. Dark , bold, vintage, and his patented flamboyant flourish on the "T". You can actually listen to this ORIGINAL Edison OdetteLe Fontenay recording and hear her incredible soprano from nearly 90 years ago. Just click on below link. Just type in "Fontenay" in the search box will bring you to the recordings. 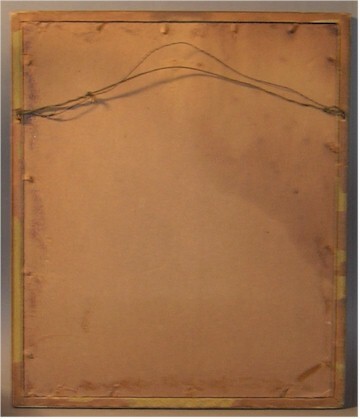 The Original frame has NEVER been opened. So the autograph has been protected and preserved for about 90 years. The original owners displayed away from light so the signature has maintained a strikingly bold vintage appearance. The 75 y.o. gentlemen I acquired this from bought it from an Edison Dealer in 1953 and hence owned it for 53 years. Excellent condition. Measures about 10 1/2 by 12 1/2 inches. We searched to find one comparable but could only find one that we don't think is even close. Ironically their price is more then DOUBLE ours.